A Piece of My Mind: Think. Love. Gratitude. As many of you know, I spent some time in Minnesota with my family, and then in Milan with my husband, son and a few friends. Now that I am back, I am super duper way behind in my Google Reader, and while Melodie nominated me for an award ten days ago, I am just now getting around to accepting. She bestowed the honor based on my posts Sunday Slowdown and Quotes to Ponder. 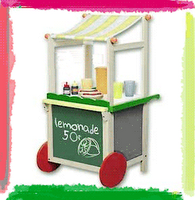 The Lemonade Award is to recognize bloggers who show a positive attitude and/or gratitude in their posting.